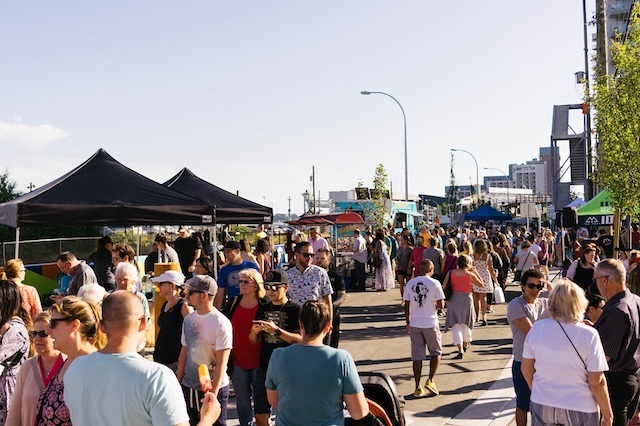 Fridays on Front return to New Westminster’s historic Front Street this summer with a car-free, family-friendly, admission free event with food trucks, live music, and artisan goods from New West Craft. Thanks to Steel & Oak Brewing Co, grab your favourite brew or a glass of wine and wander the fully-licensed Front Street and its relaxed waterfront vibe while also trying out our guest brewery line-up rotating each week. Visit some of the great local businesses situated on Front Street and explore some new & old favourites; including Antique Alley Movie Props, The Wine Factory, Rain City Juicery, Old Crow Coffee Co., Westley’s Military Surplus, Hive City, Quay Pacific Property Management, Army & Navy, Columbia Integrated Health and Sugarrays Boxing. For more info, follow Downtown New West’s Fridays on Front event on Facebook and the tags #FridaysOnFront #DowntownNewWest. Side Conditioning, Bosa Development and the Port of Vancouver.